Showing 1 to 3 of 3 notices. NO PURCHASE OR PAYMENT NECESSARY TO ENTER OR WIN! OPEN TO LEGAL RESIDENTS OF THE USA, MUST BE 18 YEARS OR OLDER. HOW TO ENTER: ENTRANTS MUST HAVE AN ACTIVE PUBLIC W2HH ACCOUNT AND SHALL NOT REGISTER FOR A W2HH ACCOUNT FOR THE SOLE PURPOSE OF PARTICIPATING IN THIS CONTEST. This contest will begin at 12:00 p.m. ET on June 9, 2015 and end at 12:00 p.m. ET on June 26, 2015 (Contest Period). To enter, upload a photo and/or video to your W2HipHop profile. Increase your chances to win by uploading multiple photos and videos. Members who upload videos introducing yourself and telling us why you want to attend this year’s “BET Experience” including other videos showcasing your personality, will receive (100) bonus points per video. Entrants must promote a link to their W2HipHop profile on social media (i.e. Facebook, Instagram, Twitter) to get as many friends to join and like their profile. 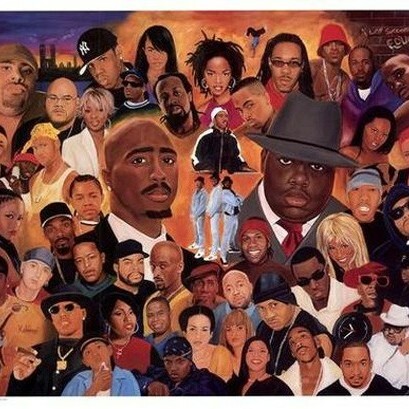 Entrants with the most friends and thumbs up on their welcome2hiphop.com profile will win. Limit: One (1) entry per person. NO fake pages allowed! Members who create fake profiles to gain popularity will automatically be disqualified. PRIZE: (2) winners will have the opportunity to attend the 2015 BET awards. (1) male & (1) female. The prize package includes 2 Tickets for each winner PLUS a guest for the 2015 BET Awards. DETERMINATION OF WINNERS: Winners will be selected on or about June 26, 2015 from among all eligible entries received during the Contest Period based on one thing... POPULARITY. The Winner will be announced on or about June 26, 2015 on W2HipHop’s website. 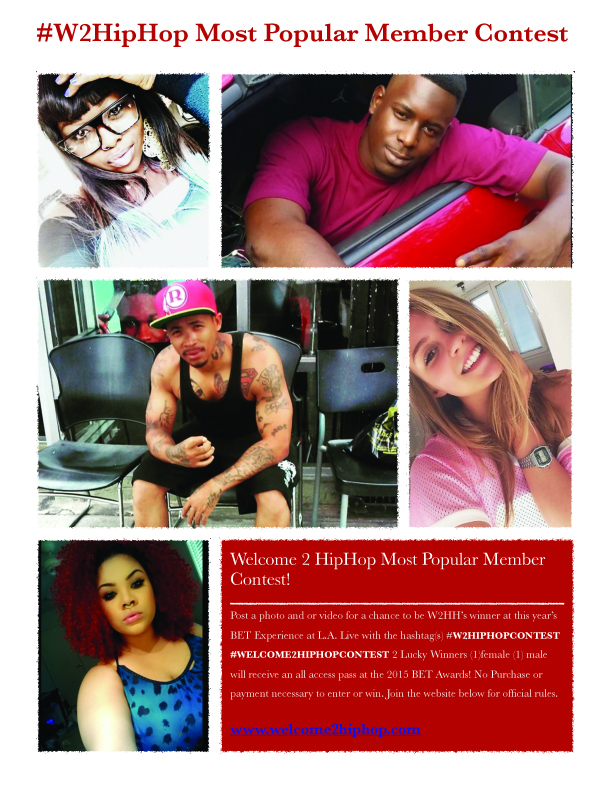 W2HipHop will notify the potential Winner by profile, phone and/or e-mail. The potential Winner will have forty-eight (48) hours to reply. Failure to reply within the specified timeframe will result in forfeiture of Prize and an alternate potential winner will be selected. **Update Your Profile & Receive (1) Free Video Feature On The Homepage of Welcome2HipHop! Thank You for Joining Welcome2HipHop! Upon completion, notify us at info@welcome2Hiphop.com with your username and the link to your video to promote and we will feature your video on the homepage. Get Started now, Login HERE! Update Your Profile & Receive (1) Free Video Feature On The Homepage of Welcome2HipHop! Hi, Please update your profile with a photo and recieve 100 points to your profile!